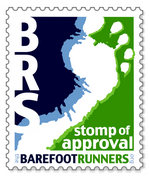 Barefoot Angie Bee: 1st annual New York City Barefoot Run! 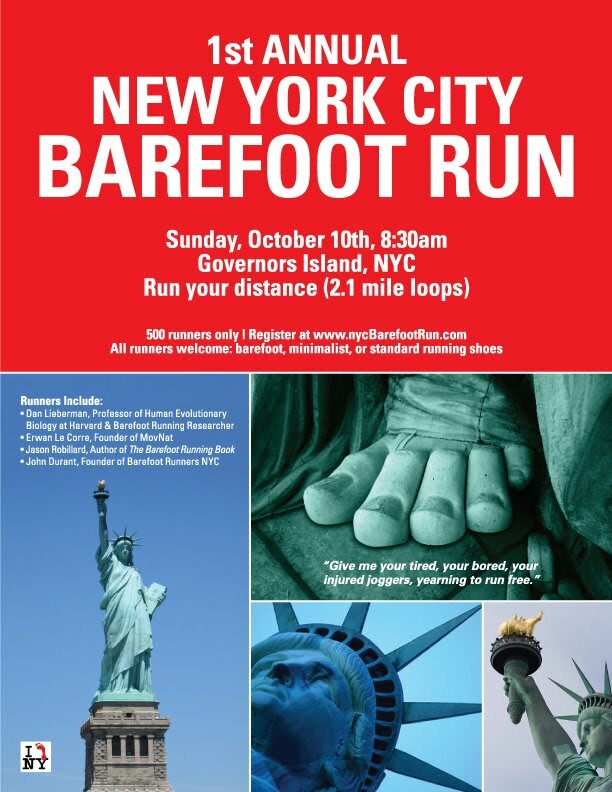 1st annual New York City Barefoot Run! I sooooo wish I could go to this!! 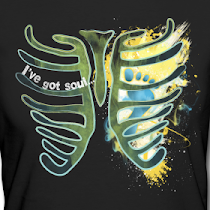 Check the link here! I will be on my own adventure as I am tentatively going to Michigan for a meeting on the 8th which I am thoroughly stoked about! Have a fantabulous time you kooky barefooters!! Also coming up in NY is the NYC marathon! I was alerted to the Fresh Air Fund and think it looks like a great charity to get behind and how wonderful would it be to be a part of the NYC marathon! Its November 7th so there is some time left to plan. Too bad you can't make it to the run...probably the first of many, though, I would guess. We have friends who bring a fresh air fun child to their house each summer. It really is a cool project! haha, nice neil! ;) That race does look fun! Too bad you have to miss it! Hey Angie - just wanted to shoot you a note to thank you for the link to Scott Hadley's site. I just checked out some his videos on the calf-hip stretch reflex stuff. Amazing! I roll my calves, but now I understand why it works and his demonstrations look so much better. Thank you for the info! I love how they worked in the statue's bare feet - amazing symbolism of freedom and hope! That sounds like a great event for you. Like Miss Zippy said, though, there will likely be others to look forward to. After running with Christopher McDougall in NY, I can't wait to be at this run.